BDS: Helping Palestinians or Promoting Hate? Sadly, university students, unions, and those in show business who believe they are lending their energy in support of the Palestinian people might take a moment to understand that they are supporting politicians -- both from the Palestinian territories and from terrorist sponsors -- who are, in fact, using the Palestinian people as pawns in a game of chess where oil, money and power are the rewards. Rather than promote boycott, divestment and sanctions (BDS), well-meaning idealists might consider how best to assist the Palestinians, whose own leaders siphon off aid money they receive from other countries. Students might consider how to establish industries to improve the Palestinian job market, instead of boycotting Israeli companies that employ thousands of Palestinians. They might make an effort to understand the real situation and work towards promoting a lasting peace, instead of misguidedly worsening the plight of Palestinians. Peace requires empathy; the BDS movement, with its secret aim of destroying a free and democratic nation, promotes nothing but resentment, division and hate. 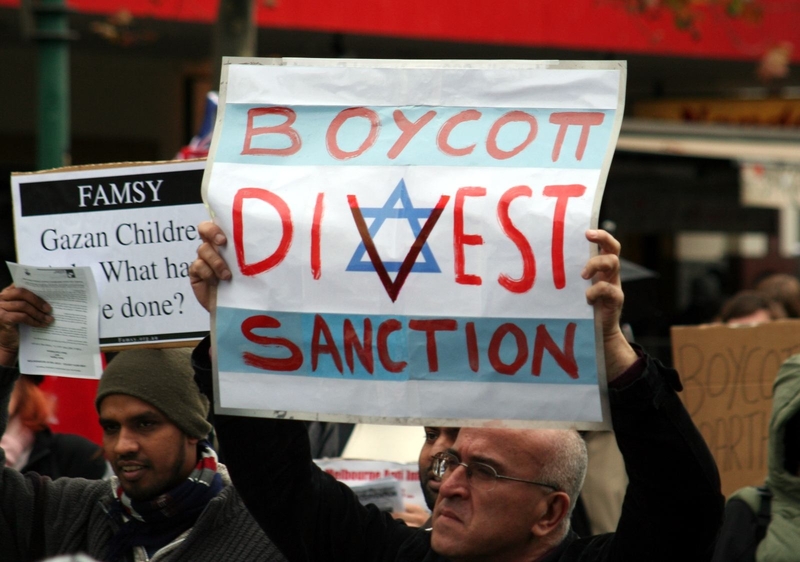 The boycott, divestment and sanctions (BDS) movement is busy promoting anti-Semitism, with universities leading the charge. Yes, you feel the pain of the Palestinians; yes, you understand their plight. But you also have seen how students can be used by political agencies. During the late 1970s, when the Shah of Iran ruled, like any dictator, he protected his own power at all costs. Freedom of expression and debate was nonexistent, causing intellectuals and university students to revolt, shouting "long live freedom." 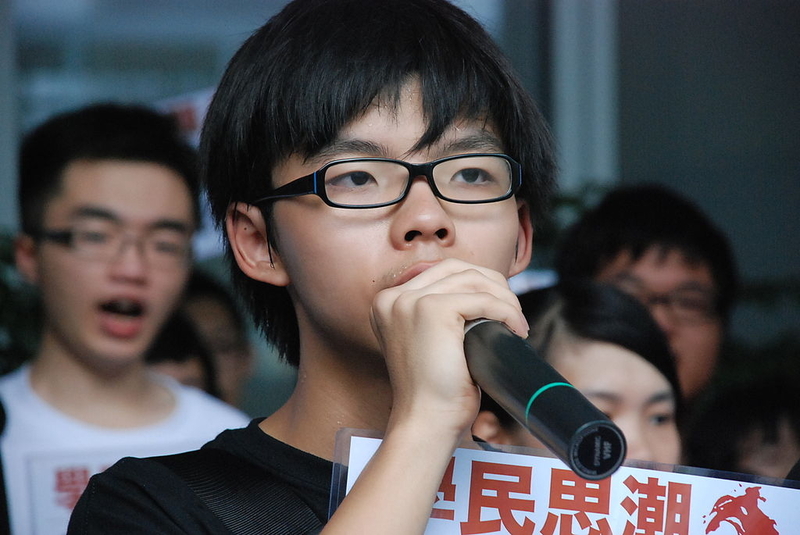 University students are young and idealistic; they support the perceived underdogs, wherever they believe them to be. The regime that replaced the Shah, however, was even more repressive. Every aspect of the life of every Iranian was controlled and decided by the Islamic Republic of Iran. Iranians were betrayed and used. Many innocent people had lent their voices to a group that had no respect for them, but regardless used their voices to advance their own political agenda. In Iran, students protested the Shah in the name of freedom and inadvertently helped bring Ayatollah Khomeini to power. When Khomeini imposed the hijab on all women, even Christians, Jews and others had to wear it. He controlled every aspect of every life. It was only later that so many Iranians realized they had been used, and after the fraudulent elections of 2009, gave their lives, either by imprisonment or death, trying to protest the regime they had brought into being. While Palestinian politicians are trying to win the public relations battle, the Palestinians are the ones continually suffering. BDS supporters are quick to point a finger at Israel for the Palestinians' misery. What they fail to recognize is the responsibility of the Palestinian leaders for corruption and failed governance. They also fail to recognize that Israel is the only functioning democracy in the Middle East, the only country in a vast region where all citizens -- Jewish, Christian and Muslim alike -- are governed equally under law and enjoy the same benefits. Consequently, I have no have compassion for those who support the BDS movement: they are blind to what the BDS movement represents. The movement shuns improving the lives of Palestinians; it only provides legitimacy to repressive Palestinians leaders, who in many ways resemble their Iranian counterparts. Rather than promote BDS, well-meaning idealists might consider how best to assist the Palestinians, whose own leaders siphon off aid money they receive from other countries. Students might consider how to establish industries to improve the Palestinian job market, instead of boycotting Israeli companies that employ thousands of Palestinians. They might make an effort to understand the real situation and work towards promoting a lasting peace, instead of misguidedly worsening the plight of Palestinians. Dr. Sima Goel lives and works in Montreal, Canada. Her memoir Fleeing the Hijab: A Jewish Woman's Escape from Iran is available in print and digital copies. Sadly, what Ms. Goel fails to acknowledge is that the Palestinian "people" are active, willing and even enthusiastic participants in the demonization and terror attacks on Jews and all Israelis. And then when they get hurt, they come to Israel for sympathy and free medical care paid for by their VICTIMS. As for universities in general, they have ALWAYS been the birthplace of extremist and totalitarian movements since the common people are too busy trying to earn a living to take time off and "demonstrate" against the "oppressors". Revolutions (with the exception of the American Revolution) are the brainchildren of the privileged classes ironically enough. You write as if you really think that the university students, unions, and those in show business involved in the BDS movement sincerely believe that they are lending their energy in support of the Palestinian people. I disagree. Since open anti-semitism isn't YET politically correct, they have found another way to express it. They don't really give a damn about the Palestinians. They have found a politcally correct way to bash Israel which is just another way of expressing their anti-semitism. You give them the benefit of the doubt. I don't. We can agree with the author that the BDS movement does not help improve the lives or prospects of even one person identifying as Palestinian. I would go further. I would say that the sole intent of the BDS movement is to arose hate and suspicion against Jews, and make Jews fearful on campus. The proof of this assertion is the delight that the leaders of the BDS movement display when these objectives are clearly attained. For example, after a decade of hearing "Apartheid" applied to Israel, a heinous and disgusting libel, I have the same reaction I did the first time. They succeed at making me angry and fearful. I have heard otherwise rational people defend the use of the word rather than just rip the posters down and throw the bastards out. Where are the academic leaders who actually know the meaning of words? The more these "do gooder" BDS demonstrators "help" the Palestinians, the more they justify Palestinian attacks upon individual Israelis. And the more these BDS "do gooders" contribute to unemployment of Palestinians whose first priority is support of and futures for their families. BDS loses sight of the fact that all Palestinians are not radically-indoctrinated Arabs who are so dedicated to entering "Paradise" that they, unlike most bread-winning Palestinians, cannot wait to be killed while attacking to murder Israelis. They shouldn't wonder why Israelis must shoot them when they're in the process of attempted murder. And, the Palestinians should take into account the sacrifice of 500 Palestinian jobs due to a move by SodaStream from the West Bank to territory of Israel, which brought 500 Palestinian job losses to an end because they couldn't clear for entry into Israeli territory. Some SodaStream jobs were kept by West Bank Palestinians who could enter Israel, but plenty were lost. Perhaps the BDS "know it alls" should start up a collection to support those who lost their jobs. After all, their relentless BDS attacks against Israeli productivity has contributed to Israeli productive businesses to rethink their own futures. These "well meaning idealists" of the BDS are on the wrong side of morality. They are the messengers of hate, who care about Palestinians like the leaders of the Palestinians, the Arab League & the EU care about them. To them the Palestinians are a tool, a human football to be (mis)used to silvercoat their obsessive Jew hate and to (mis)use them as human ammunition for their own goals...power, money and above all, the destruction of Israel, the Jewish state, the collective Jew! Make no mistake for nothing has changed! Those who allow anti Semitism will in the end self destruct!